Mmm, ribs! 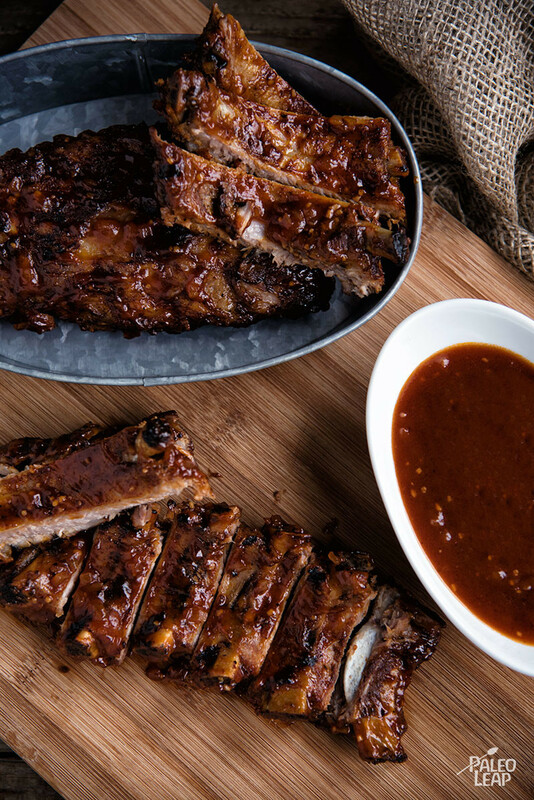 This recipe features a sweet BBQ sauce that completely fulfills the traditional rib-sauce duty of making you lick it off your fingers like there’s no such thing as a napkin. Add that to a savory spice rub and a big pile of pastured ribs, and call it dinner! You can adjust the amount of maple syrup in this recipe to fit your particular taste; some people like it sweeter, and some people like it more on the savory side. It’s maple syrup season right now, so take advantage of it! If maple syrup is too expensive where you live or you just don’t like it, you can substitute raw honey for honey-barbecue ribs instead. 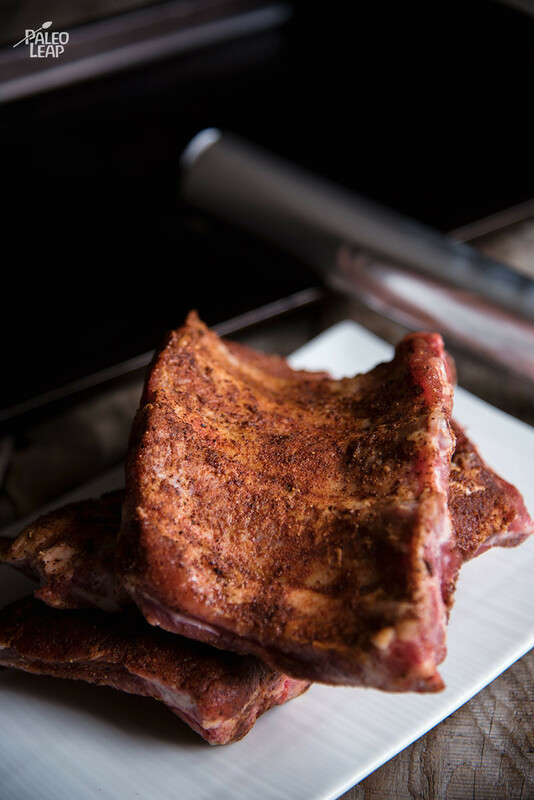 Ribs are always a kid-friendly option for a cookout or just a special dinner, but the great thing about Paleo food is that even the “kid food” is adult food, too. Try these with spicy sweet potatoes, roasted cauliflower with a little bit of turmeric for color, or your favorite kind of grilled vegetables, especially if you’re already firing up the grill to add that last bit of flavor to the ribs. In a bowl, combine the paprika, onion powder, ground cumin, chili flakes, and season with salt and pepper to taste. Rub the ribs evenly with the paprika mixture, place in a marinating container, and refrigerate for 2 to 12 hours. Wrap the ribs with aluminum foil, place in the oven on a baking sheet, and bake for about 2 hours or until the meat is falling off the bone. In a saucepan, melt the cooking fat over medium heat. Add the onion and garlic and cook until translucent. Add all the remaining ingredients for the sauce and cook for 15 to 20 minutes. You can also add hot pepper sauce at this point if you like a spicier BBQ sauce. Once the ribs are ready, baste with the maple BBQ sauce. Increase the heat to 400F. Return the ribs to the oven and cook for another 15 to 20 minutes, basting with more sauce every 5 to 6 minutes. Brown the ribs on each side for 4 to 5 minutes under the broiler or on a grill just before serving.